Bennelong Funds Management has expanded into the United States via a new subsidiary, BennBridge US, with plans to distribute a number of its existing investment funds to institutional investors, similar to its strategy in Australia and the United Kingdom. 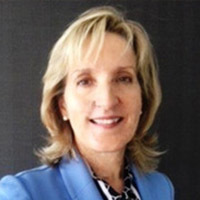 BennBridge US has appointed Barbara Safranek as president, who will head up the company’s newly established office in New York. In her new role, Ms Safranek will build and develop strategic relationships within the industry and oversee institutional distribution. Craig Bingham, CEO at Bennelong Funds Management, said Ms Safranek has broad asset management experience across marketing, investor relations, product management, and client portfolio management that will be invaluable in her new role with BennBridge. “Barbara has strong relationships with foundations, endowments, private and public pensions plans, family offices, sovereigns, and consultants in the US and abroad, and is well-connected in the market. Mr Bingham said the expansion was driven by increasing demand for the Bennelong and BennBridge strategies from North American investors. “The initial focus will be on Pembroke Emerging Markets, Quay Global Investors and 4D Infrastructure’s strategies, and we have already seen strong interest from financial institutions in the US for these. Joining Ms Safranek in the New York office will be Pembroke partner and portfolio manager, Greg Mariasch. BennBridge UK partnered with emerging markets manager Pembroke in October 2017. “Greg’s relocation to New York from London will give US investors direct access to Pembroke’s strategy and process,” said Mr Bingham. The move follows the establishment of Bennelong subsidiary BennBridge UK in 2017. Bennelong has experienced significant growth in Australia and the UK in the past few years.